Besides the article below, here is an article from Gizmodo. This is a really interesting technology referred to as ‘light-field cameras.’ They can allegedly take a picture and allow you to focus it later. Here is a hands-on review so you can see what it looks like. Camera maker Lytro is now taking pre-orders for its much-hyped light-field cameras that promise to let you snap a picture and refocus it later on your computer or the camera’s touchscreen. Although pre-orders are underway now, the Lytro cameras won’t be arriving in time for the holidays, shipping in early 2012 instead. And Windows users might be disappointed at launch as Lytro software is currently compatible with Mac computers running OS X 10.6, Snow Leopard or higher. Pricing starts at $400. How much do Lytro cameras cost? The base model Lytro camera costs $400 and comes with 8GB of storage allowing you to save about 350 images on the device at one time. There is also a 16GB version that stores 700 photos prices at $500. The 8GB camera comes in graphite (gray) or blue, and the 16GB camera is available in red only. Pre-sales have already started, but the first round of sales are first being offered to people who signed up for an account on Lytro’s Website. These people will have one week to take purchase the camera–my e-mail said I had until October 26 to purchase. After that, it’s not clear if Lytro will offer pre-sales to Lytro members who missed out on this round or if it will open up sales to everyone. 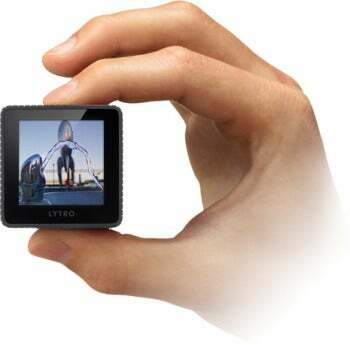 To sign-up for Lytro’s mailing list visit Lytro.com and click on the “I want one” button on the landing page. Lytro is currently selling only one camera per customer and is available only to customers in the U.S. for now. Anyone who buys a camera this week will get free shipping on their order. What are the camera’s specs? Lytro’s camera has an 8X optical zoom, an f/2 lens, an anodized aluminum body, instant-on functionality and weighs 7.55 ounces. The device has a shutter button, power button, a touch-controlled zoom slider and a micro-USB port. Since you focus your photographs after the fact, there is no auto focus motor on a Lytro camera meaning almost no shutter lag when snapping a photo, according to the company. Nope. The devices have internal flash drives with no SD card expansion slot. Lytro’s cameras have an internal (non-removable) Li-Ion battery. What about camera resolution and image quality? It’s not clear how high the image quality is compared to traditional cameras, but my guess is these devices won’t be a replacement for your DSLR anytime soon. The company also isn’t mentioning anything about traditional specs such as megapixels and only discussing the camera’s 11 megaray photo capture. Which computers are Lytro devices compatible with? At launch, Lytro devices are only compatible with a Mac computer running OS X 10.6 or higher, but Lytro is promising a Windows client in 2012. It’s not clear if the Windows client will be finished in time for the first shipment of Lytro devices in early 2012. Lytro’s image processing software is loaded onto the camera and can be installed on your Mac using the camera’s micro-USB port. What file format are the images saved as? 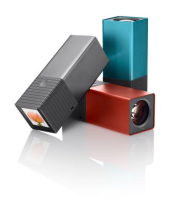 Lytro is using its own proprietary image format (.LFP). You can convert Lytro images into JPG format, but then you will lose the interactive and refocusing features. What can I do with a Lytro image? Once the image is on your computer you can share them on Facebook, Twitter, send them via e-mail or embed them on your blog. All images posted online are hosted on Lytro’s servers and viewable on smartphones, tablets and computers. What about viewing as 3D images? Lytro says 3D viewing capabilities requires “special light field algorithms” that will be added to Lytro software in 2012. It’s not clear if 3D capability will be available at launch.